Okay, so your teacher asks you to read a book and present a book project to the class. Standing up in front of the class talking about the book or presenting an "old school" poster board is NOT exciting. It is 2014! Use technology! Here is a list of ideas and tips on how to make your book project more exciting using technology! To show a scene or describe characters and their thoughts from a book, you may choose to use Voki's (animated avatars). It is a free online program. In the example below, you will see the student created a simple webpage on which to include the avatars she created. She also included some written information to introduce the book and scenes. Very creative! Book Trailers are similar to movie trailers. They get readers excited and motivated to read a book by featuring key moments and characters. They are usually short (less than 2 minutes) and have fitting music and text. Google Slides is simple to learn, allows students to collaborate with others easily, can be shared with you in one click, and can even be shared on Classroom or embedded on a website! Make a great presentation. Add technology with animations and video even! Get a Prezi Account for Free Here! Another great tool for interactive presentations! You can include pictures, videos, surveys, class quiz questions or guess the ending questions. You can control the audience with this one. Check it out. Your audience can chime in via computer, ipad or phone with the free Nearpod app. Fun! Try Nearpod by clicking here! Try this free, really cool tool to make presentations! Great for teachers and students! 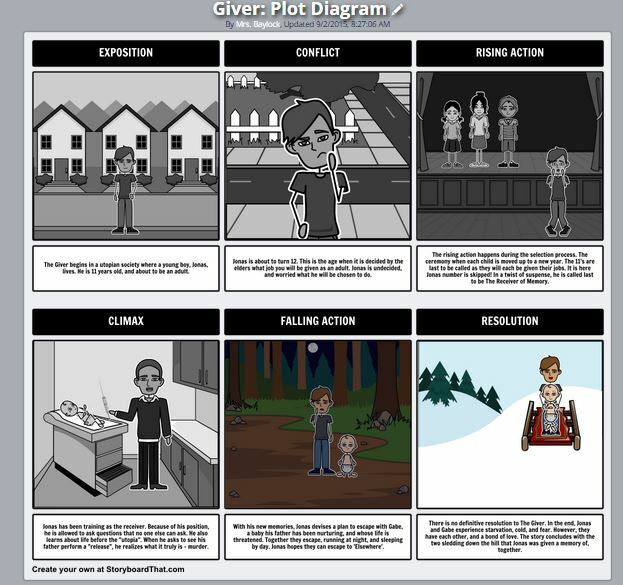 Create a storyboard to show a character map, comparisons, storylines, or more. You can even turn it into a Slideshow with one click! Use an online tool to help you create a website/webpage to showcase your book project. Use virtual space to help you include images, animations, videos, avatars and more on such a page!! Use Weebly.com or wix.com or any free website creator. Try using Google sites if you are signed up with your google account at MK! Create an animated movie trailer using Powtoon! Click on Student Account!